I had a chance to spend lots of time with the Series 5 Ultrabooks at CES thanks to a comfortable Samsung media lounge and I came away thinking that it would be just about the right Ultrabook for me. It combines ‘best of’ features, good Samsung engineering and the hybrid SSD seems to work pretty well. 25 seconds cold boot is well ahead of the Acer S3. Yes, it would be faster with a full SSD but because I’m doing a lot of video work, small SSDs could be restrictive. My reports and videos are linked on the Samsung Series 5 datasheet. You’ve got an Intel Centrino Wifi module with Wi-Di, Gigabit Ethernet port, BT3.0+HS, full SD card slot, USB3.0, VGA via a dongle, a removable panel for HDD and memory swap (possibly battery swap too) and a competitive price. Try finding another device offering this much for this price? There’s no 1600×900 screen, no backlit keyboard and the battery is only a 45Wh part though. The HP Folio 13 offers more in terms of battery life but is more expensive. It’s trade-off between battery and processing power with this new Series 5 option. The Core i5 version is $887 in the USA right now and I can thoroughly recommend it. Availability is expected in the next few weeks. I find Samsung is one of the few manufacturers using matte screens. How come the majority of others are going for glossy when there is so much of demand for matte? I prefer matte screens too but is there really so much demand for them or is it just the loud few that’s demanding? the tech geeks command them, normal consuments don’t now even now the different kinds exist, and even then, it always looks like glossy screens are more colorfull, because of the reflection of bright lights of the store. I heard glossy screens can easily be made matte with screen protections. even though you lose a bit of brightness, you can choose the kind of screen you want if you take a glossy one. 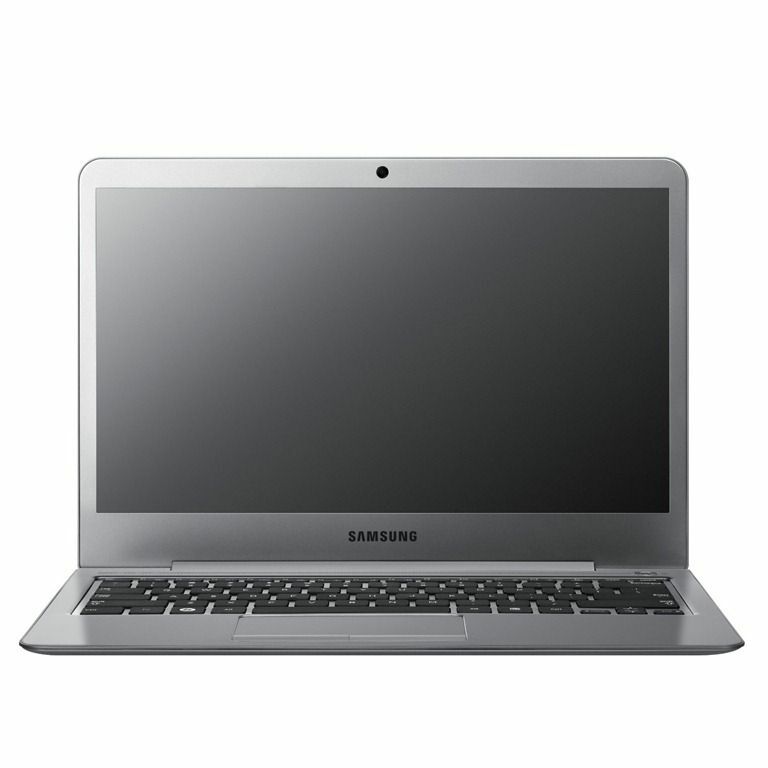 What can u tell about this ultrabook? I’m thinking of buying a Macbook Air 13” Core i7, 4GB RAM and 256GB SSD, but the configuration of this Samsung seems to be very good. If were you, what laptop would choose? Thank you. I’m bound to Windows in my work right now so it’s an easy choice for me. Do you think it’s worth buying the Sandy Bridge version of this laptop when Ivy Bridge is coming out pretty soon? Also, would you recommend the 13″ or 14″ version of the Samsung Series 5 Ultra? Regarding Sandy vs Ivy, have a read of this. http://wp.me/p1GwEv-va Choice of 13 or 14″ depends on.your need for dvd + optional discreet graphics. I also saw a notice about the brand new SSD 520 made by Intel, which have a promisse to be 78% faster than actual SSD. Do you have any further information about it? My big dude is because i’m from Brazil, where laptops are too much expensive and i’m in Mexico for vacations. Here, laptops are sold 50% cheaper than in Brazil. As i said, i want to buy and Macbook Air 13” Core i7 4gb RAM and 256SSD, but with these latest news about ivy bridge and SS520 i don’t know if i wait to by a laptop or if i buy it now..what you recommend me? Thank you! Your website is the best :)! Basic things: matrices are indeed bright – over 240 cd/m2. Battery life however is standard – about 5 hours and a half for web surfing… What is not good or disappointing: both models have plastic chassises, exept of covers made of aluminium. Good review. It’s much as I expected and saw in my own tests. I couldn’t find any notes about the hybrid drive. How do you feel about that? I feel it’s a much better implementation than Acer S3.